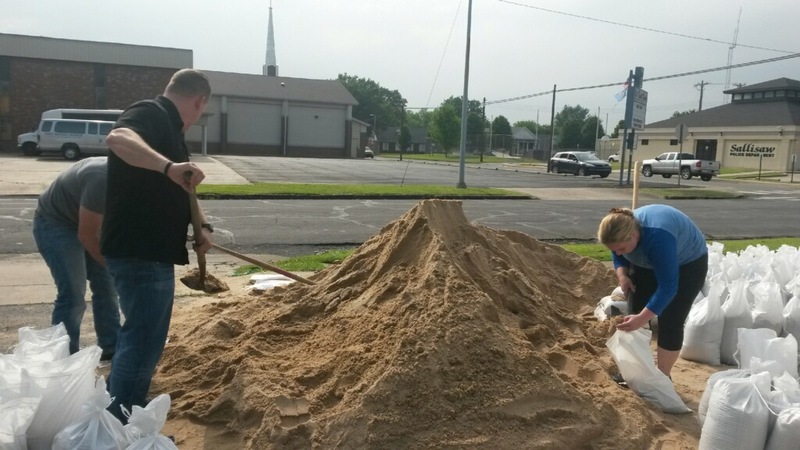 The Sequoyah County Emergency Management office has sand and sandbags available for anyone who fears flooding over the next few days. Steve Rutherford, Sequoyah County Emergency Management director, said the sand and sandbags are at the Sequoyah County Courthouse in Sallisaw. The sand was delivered by the county commissioner, Rutherford said. On Friday, a volunteer was helping fill the sandbags, but if no one is available to fill the bags, citizens are welcome to fill their own. Rutherford said some shovels will also be available. Rutherford said the last time he spoke to weather officials seven inches of rain was predicted for Sallisaw Friday evening and Saturday, while nine inches was predicted for the Fort Smith area. Rutherford said several areas are vulnerable to flooding during heavy rains. 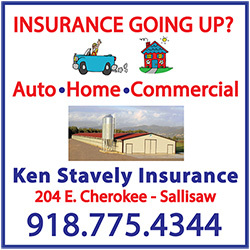 For more information contact Rutherford at 918-776-3787. Cherokee Nation Businesses recently recognized local employees for their outstanding volunteer efforts throughout the Cherokee Nation. Employees of the tribe’s business arm dedicated more than 3,300 volunteer service hours to community outreach projects and numerous charitable efforts during the past year. Those honored from Sequoyah County are Jon Cherry from the Cherokee Casino in Sallisaw and Renae Williams from the Cherokee Casino & Hotel in Roland. The employees volunteer alongside other members of the company’s Community Impact Team for a variety of outreach assignments that assist local communities. The volunteers offer their time to various organizations and events, such as Iron Gate, Cherokee Nation Angel Project and the Oklahoma Department of Transportation’s Trash-OFF and Adopt-A-Highway programs. They also coordinate essential item and school supply drives, blood donation events, the tribe’s Heart of a Nation annual fundraising campaign and many other efforts throughout the year. CNB recognizes a top volunteer from each if its properties, along with one employee earning the Volunteer of the Year title companywide. Janell Anthony, customer service administrator at Cherokee Casino South Coffeyville, received this year’s top overall honor. The 2016 Community Impact Team Volunteer of the Year has worked for Cherokee Nation Entertainment for more than seven years. The Community Impact Team is CNB’s companywide initiative dedicated to helping promote volunteerism and community engagement for all employees. A former educator, Rep. Ed Cannaday (D-Porum) is aware that educators struggle to maintain a semblance of routine and normalcy for their students as the state wrestles with budget problems. But Cannaday, who represents western Sequoyah County, achieved a trifecta when three of his education-related bills were signed by Gov. Mary Fallin. 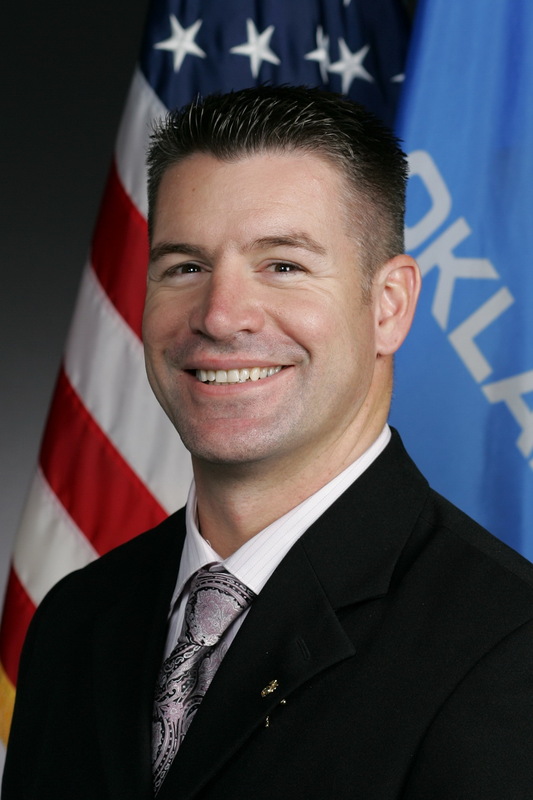 “This session, despite finding ourselves in the super minority within the legislature, it was incumbent upon our caucus to address the glaring needs of our children and the dedicated professionals who care for them each day, as if they were their own flesh and blood.” Cannaday said, after learning his three essential education bills had been signed into law by Fallin. HB1188, as introduced, relates to schools and unused sick leave. Language is added related to the Oklahoma School for the Blind or the Oklahoma School for the Deaf to allow for certain cumulative unused sick leave for an employed teacher in a school district to transfer to the Oklahoma School for the Blind or the Oklahoma School for the Deaf where the teacher is employed the next succeeding year. Further, if a teacher is employed at the Oklahoma School for the Blind or the Oklahoma School for the Deaf after July 1, 2017, any unused sick leave up to 60 days that is accumulated at a school district prior to such date will be transferable. HB1789 requires early childhood education, elementary education, and special education teachers to receive quality education in research-based instructional strategies for instruction, assessment, and intervention for literacy development of all students including advanced readers, English Language Learners, and students with learning disabilities such as dyslexia and requires certain prospective teachers to be provided specified education. Certain teacher candidates will study specified strategies to adapt for individual learners. HB 1790 allows each school district in the state to offer a remediation course for high school students who score below a 19 on the American College Testing exam or below an equivalent score on the SAT exam. A teacher providing instruction in the course is not required to be certified in any subject matter that is tested on either exam. None of the measures add fiscal impact to contribute to the state’s budget issues. They do provide substantive relief to bring about major opportunities for students and teachers, in areas where Oklahoma has ranked poorly. 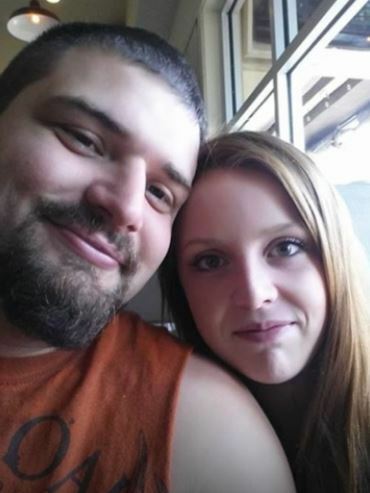 A man’s body pulled from the Arkansas River, from under the Garrison Avenue bridge, has been positively identified as that of a man whose family was thrown from their boat Sunday near the W.D Mayo Lock and Dam south of Muldrow. Christina Farhat told the media the body was that of her son, William Farhat. The body was recovered at about 8 p.m. Thursday by the Oklahoma Lake Patrol, said Sequoyah County Sheriff Larry Lane. The lake patrol is still on the river searching for Farhat’s wife, Kristy. Farhat’s body was sent to the state medical examiner in Tulsa, Lane said. William Farhat’s children, Physher, 6, and Weston, 4, were with their father and step-mother when the boat capsized. Officials said both children were wearing life jackets and Weston was able to make it to shore and survived. Physher was pulled from the river and later died at an Arkansas hospital. An account for the family was set up at Regions Bank, and donations may be made to the Farhat Rescue Fund. Go Fund Me accounts have also been set up to help pay for funeral expenses. 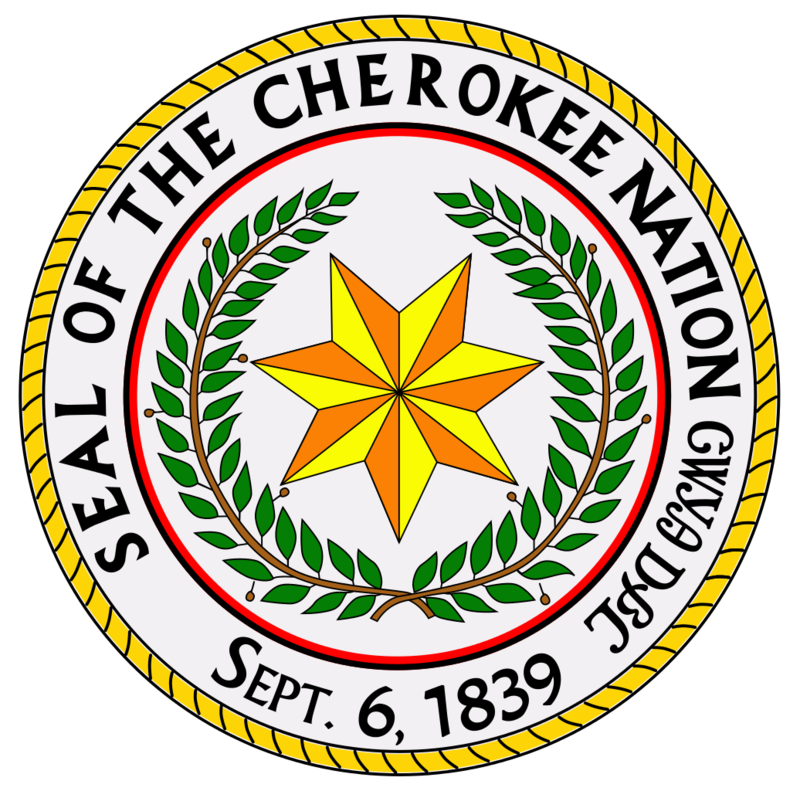 Sequoyah Fuels at Gore, the Cherokee Nation and the State of Oklahoma have been ordered to meet weekly and work on an agreement on how to dispose of 11,000 tons of nuclear waste at the facility. District Judge Jeff Payton ordered the weekly meetings after a hearing Thursday in Sequoyah County District Court, Sallisaw. Payton left a restraining order in place that forbids Sequoyah Fuels from disposing of the waste in an on-site cell. The Cherokee Nation and the State of Oklahoma filed for a restraining order in February against the on-site disposal plan, which Payton granted. The Cherokee Nation argues the buried waste may migrate and contaminate nearby waters which include the Arkansas and Illinois River and surrounding areas. 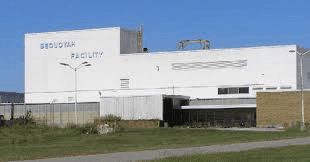 In November 2004, the Cherokee Nation and Sequoyah Fuels entered into a settlement agreement in which Sequoyah Fuels agreed to spend $3.5 million to dispose of the waste off-site. The Nuclear Regulatory Commission (NRC) also approved the on-site disposal after years of study and discussion. Sequoyah Fuels attorneys argued Thursday that moving the waste off site would add $1 million to the estimated $3.5 million to the cleanup. Pictured left to right are CASC Development Foundation officers including Secretary James Smith, Vice Chair Ty Barrett, Executive Director Mandy Roberts, Chairman Steve Holton, Grand Master of the Masons Rick Allison, and CASC President Jay Falkner. 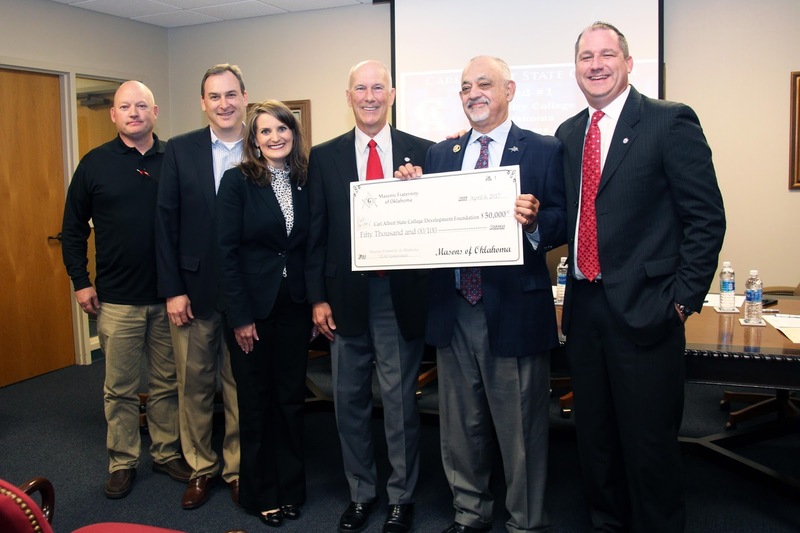 The Carl Albert State College (CASC) Development Foundation recently received a $50,000 endowment from the Masonic Charity Foundation of Oklahoma. John Logan, executive director of the Masonic Charity Foundation of Oklahoma, and Grand Master of the Masons Rick Allison presented the endowment to CASC Development Foundation Chairman Steve Holton at the foundation’s semi-annual trustee meeting on April 6. The endowment will support the creation of the CASC Leadership Empowerment and Development (LEAD) Program. The LEAD Program is designed to provide educational and leadership learning opportunities to community college students while empowering them to become social change agents both on campus and in the community. According to Roberts, CASC looks forward to the opportunity to enhance student activities programs through this endowment. In addition, a Leadership Lecture Series will be developed, and LEADer Workshops will be put into place for emerging student leaders each semester. Free @. . .Your Library: Earbuds! Stanley Tubbs Memorial Library in Sallisaw will give away a pair of earbuds, free, to everyone who comes in and votes for their favorite new-book flyer. Staff members designed the flyers (above), which advertise new books. Just a few of the new books are “Fast Falls the Night” by Julia Keller, “Three Piece Meal” by Zane, “Young Jane Young” by Gabrielle Zevin, and “Crime Scene” by Jonathan and Jesse Kellerman. The library staff said the library has many new books for readers, from children’s books to books for young adults to adult books, both fiction and non-fiction. The earbuds may be used with most electronic devices such as cell phones and MP3 players. 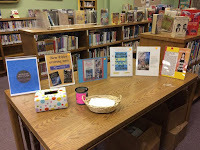 On May 3 the library is holding a silent auction for surplus equipment, some of which works and some of which does not. The equipment will be laid out for inspection at 10 a.m. May 3, and the silent auction will conclude at 5 p.m. Winners will be notified by phone shortly afterward. The equipment includes computer monitors, barcode scanners, adding machines and more. From May 5 to 11 the library will hold its Big Book Sale. Books and magazines will be available for prices which range from 50 cents to $2. The book sale typically draws a large and enthusiastic crowd. The Oklahoma Lake Patrol has recovered a body from the Arkansas River that they believe is missing boater, William Farhat. Earlier this evening the Fort Smith Police Dept. 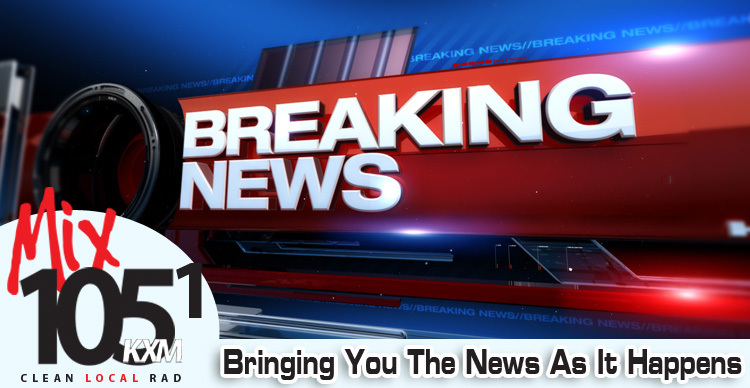 received a call from an individual on the Garrison Avenue Bridge who reported seeing a body in the water. Moffett Police, the Sequoyah County Sheriff's Dept. and the Oklahoma Lake Patrol worked together to locate and recover the body. The body was on the Oklahoma side of the Arkansas River near Moffett. Authorities are reporting that the body does match the description of Farhat but they are waiting on positive identification from the family. Farhat and his wife Kristy have been missing since their boat capsized near Lock and Dam 14 close to the Spiro Mounds in Leflore County on Sunday. 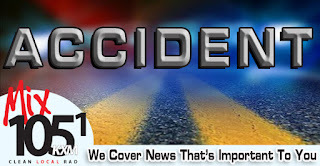 The couple's 6-year-old son died in the accident and their 4-year-old son survived with minor injuries. We will update this developing story as more details are released. 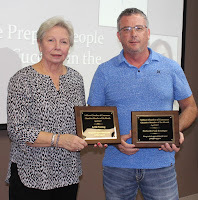 Cheryl Mills, Sallisaw Chamber of Commerce president, presents the chamber’s Member of the Month Award for April to Rick Nicholson, owner of A-OK Printing. Nicholson’s wife, Rhonda Nicholson, owner of Perfectly Posh, was also named the Member of the Month for April, but was unable to attend the meeting. Members of the Sallisaw Chamber of Commerce are gearing up for Diamond Daze June 1 through 3 at the Sallisaw High School campus. Chamber President Cheryl Mills reminded members of upcoming events at the chamber’s membership meeting Wednesday at Indian Capital Technology Center (ICTC) in Sallisaw. She said $10 pit passes for Friday and Saturday nights’ entertainment and carnival arm bands are expected to be available for purchase on May 1 at the chamber office at 301 E. Cherokee. Also, entry for the High Steaks Rollin’ contest, sponsored by the Guardian Angels Animal Care Inc., is now open. The entry fee is $130 plus a 25-pound bag of dog food or $160 without a bag of dog food. The entry deadline is May 24. The winner of the contest, which is June 3, will receive $1,000, a trophy and entry in the Steak Cookoff Association Steak World Championship. Also, the Diamond Daze Car Show will be held June 3 and will award trophies and cash prizes to the winners. The car show, sponsored by Chandler Collision Center, has a $15 entry fee. 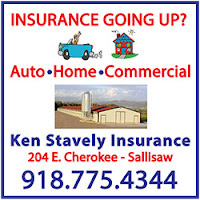 For more information call 918-776-0606. Ernie Martens, Sallisaw High School principal, announced the deadline to enter the May 1 Community DodgeBrawl tournament, to raise funds for the senior class, is Friday. The entry fee is $25 per team and prizes will be awarded to the first, second and third place teams. Dr. Curtis Shumaker spoke to the chamber members about what ICTC offers the community. He said ICTC has 250 day students and over 600 adult evening students. ICTC offers nine full-time day programs which include auto service, the Environmental and Spatial Technology (EAST) program, construction trades, a licensed practical nurse program, health careers, surgery technology, heating and air conditioning, service innovations which includes greenhouse growing and landscaping, and welding. The evening classes include another 11 topics. Jodi Keith, EAST facilitator, explained the EAST program to chamber members, and how the program teaches mostly technology. Keith said EAST students work on 40 to 50 projects a year and will do videos for local businesses and individuals. For information on the program call 918-571-4066 or contact ICTC. Sallisaw High School is ranked as the top 4A high school in Oklahoma, according to the U.S. News and World Report in a study released this week. U.S. News & World Report, the global authority in education rankings, announced the 2017 Best High Schools, based on a study done in the 2014-15 school year. The rankings identify the top-performing public high schools at the national and state level and include published data on more than 22,000 schools. Out of the 80 Oklahoma schools reviewed, regardless of class, Sallisaw ranked 21st. The report said Sallisaw students have the opportunity to take Advanced Placement® course work and exams. The AP® participation rate at Sallisaw High School is 34 percent. The student body makeup is 53 percent male and 47 percent female, and the total minority enrollment is 59 percent. The report indicates Sallisaw High School has an enrollment of 618, with a 77 percent graduation rate. The student to teacher ratio is 14 to one, and the staff includes 43 fulltime teachers. Farmer said Sallisaw High School strives to prepare students for their future lives. “Our philosophy is we are training children for the next stage in their lives,” Farmer said, whether that be through a college or a vocational-technological education. Farmer said he hopes to see the numbers increase, including for those who plan to continue their educations after high school. That exam is designed by the ACT non-profit corporation for various age and grade groups, as a way to prepare the student for college. The accomplishments earned Sallisaw High School a bronze medal from U.S. News & World Report. Edmond North High School earned the top award in the state. Oklahoma has 470 high schools in 431 school districts. Public schools in Arizona make the strongest showing in the national rankings, taking four of the top five spots. BASIS Scottsdale was No. 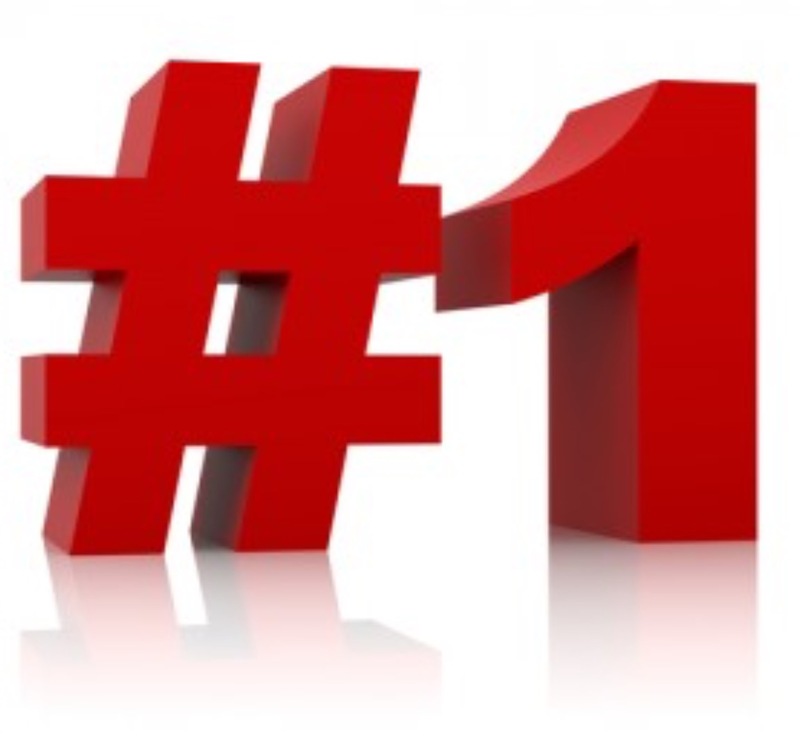 1 in the national rankings, followed by BASIS Tucson North at No. 2 and BASIS Oro Valley at No. 3. Tribal Council Speaker Joe Byrd. John Levi Swimmer, 83, of Vian was one of three military veterans recently honored by the Cherokee Nation. 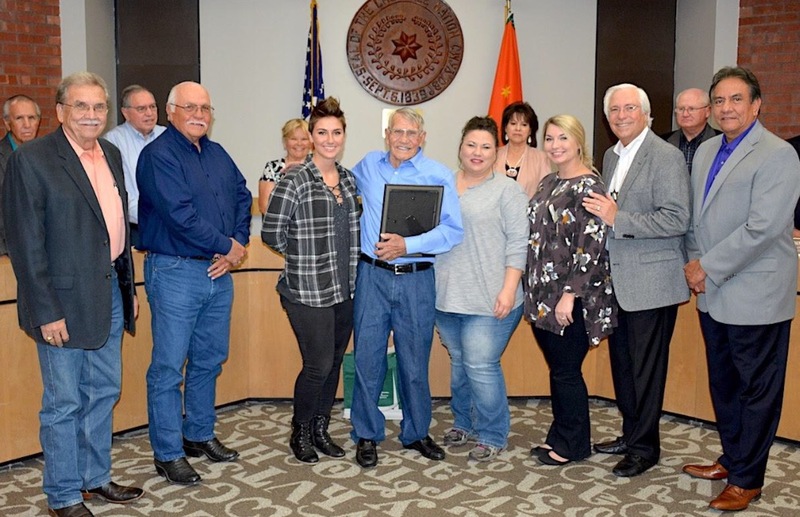 Swimmer, Eddie Gene Storozyszyn, 71, of Wagoner, and Steven Donald Summers, 61, of Claremore were recognized by Cherokee Nation Principal Chief Bill John Baker and Deputy Chief S. Joe Crittenden for their military service and sacrifice to their country. Staff Sgt. Swimmer was born Jan. 4, 1934, in Vian where he graduated from high school in 1953 and was soon after drafted into the U.S. Army. Swimmer was chosen to participate in the General Mark Clark Leadership School and later served his first deployment at Camp Casey in Korea. After receiving an honorable discharge in 1955, Swimmer worked for ARK/LA Natural Gas Co. in Arkansas and later returned to Oklahoma to work for Kerr McGee. From 1970 to 1980 Swimmer served on the Vian School Board where he played a large role in the construction of several of the schools’ buildings. Swimmer still lives in Vian. 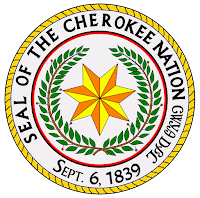 Each month the Cherokee Nation recognizes Cherokee service men and women for their sacrifices and as a way to demonstrate the high regard in which all veterans are held by the tribe. Native Americans, including Cherokees, are thought to have more citizens serving per capita than any other ethnic group, according to the U.S. Department of Defense. To nominate a veteran who is a Cherokee Nation citizen call 918-772-4166. The Sequoyah County Sheriff’s Office, Sallisaw Police Department and District 27 Drug Task Force teamed up Monday morning to serve a narcotics search warrant at a residence in Ramm’s trailer park in Sallisaw. Sheriff Larry lane reported that inside the residence investigators found items and substances consistent with the distribution and use of methamphetamines. 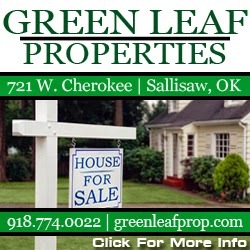 Arrested at the residence were Christy Clark, 42, of Sallisaw, Samuel Andre English, 47, of Vian, Travis Evans, 29, of Sallisaw and Johanna Brannick, 33, of Sallisaw. Investigators found plastic baggies containing methamphetamine, digital scales, unused baggies, pipes and syringes as well as substances that tested positive for marijuana. Sheriff’s Investigator Dewayne Frizzell obtained this search warrant during an investigation of the distribution of meth in the Sallisaw area. Clark and English were booked into Sequoyah County Detention Center on charges of possession of a controlled, dangerous substance (meth) with intent to distribute, possession of marijuana, and possession of drug paraphernalia after former conviction of a felony. Evans and Brannick were booked on charges of possession of a controlled dangerous substance, and possession of drug paraphernalia after former conviction of a felony. Sallisaw’s new mayor, Jim Hudgens, who was named mayor at a special meeting Monday, said he doesn’t anticipate any significant changes for the city in the future, but the city commissioners will be working on the next city budget next month. “I don’t know of any significant changes. We will continue to operate as we have,” Hudgens said Tuesday. 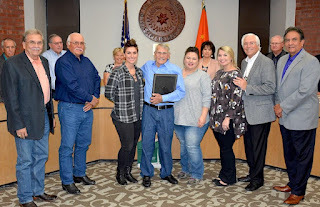 Hudgens said he anticipates being sworn into office at the city commission’s next meeting, on May 8, just in time for the city’s budget session on May 17 and 18. The city’s fiscal year ends June 30, he noted. Hudgens will continue to work on preparation for capital improvement projects that loom in the city’s future. Those maintenance projects include city streets and the north substation, both of which need attention, he said. “That substation was built in 1983 or ’84, when I was city manager,” Hudgens said. The capital outlay projects the city faces are the expansion of the storm water retention lagoon at the city’s treatment plant on the city’s south side, which is expected to cost over $1 million, and the relocation of utilities for the widening of U.S. Highway 59. That project, at an estimated cost of $750,000, may be delayed another year or two as the state wrestles with its own revenue shortage. Hudgens served as Sallisaw’s city manager on two occasions, for a total of 19 years. During his years as city manager, Sallisaw built or improved its power supply, the city landfill, its fiber optic system known as DiamondNet, and the sewage treatment plant. In a special meeting of the Sallisaw City Commision on Monday evening Jim Hudgens was appointed as the new mayor of Sallisaw. A three vote majority was needed from the five person council. The first nomination for the office was made by Commissioner Daryl Legg who nominated former Sequoyah County Sheriff Ron Lockhart. Legg's nomination was seconded by Commissioner Julian Mendiola but the nomination did not receive any additional votes. Current Mayor Julie Ferguson then nominated Commissioner Jim Hudgens. This nomination was seconded by Commissioner Ronnie Lowe. The nomination received the three votes needed from Ferguson, Lowe and Hudgens. We will have more on this story tomorrow along with comments. State Rep. John Bennett (R-Sallisaw) recently was recognized by the Oklahoma Farm Bureau Board of Directors as a member of the 2016 OKFB 100 Percent Club for the third straight year. The award is based on a 100 percent voting record on key Farm Bureau legislative measures during the 2016 Oklahoma legislative session. This honor is given to legislators who support Farm Bureau’s mission to protect personal property rights, keep taxes low and boost agricultural and rural business. A 28-year-old Sallisaw man pleaded guilty to distribution of oxycodone recently in U.S. District Court in Muskogee. The U.S. attorney’s office reported Kevin Wayne Sanders Jr. was indicted on an allegation that on Jan. 14, 2016, he distributed oxycodone, a Schedule II controlled substance. 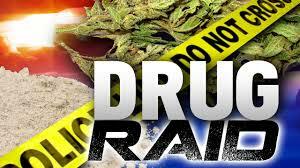 The charge arose from an investigation by the Oklahoma Bureau of Narcotics, and the Drug Enforcement Administration. The crime is punishable by not more than 20 years imprisonment, and up to a $1,000,000 fine or both. 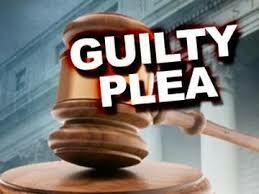 U.S. Judge Kimberly E. West accepted the plea and ordered the completion of a presentence investigation report. Assistant U.S. Attorney Timothy Hammer represented the United States. 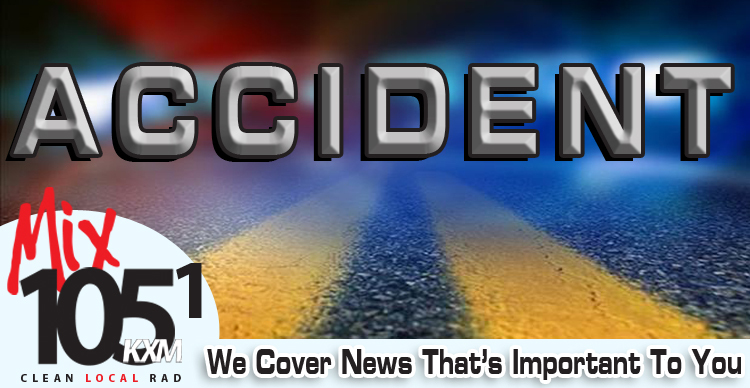 A Poteau man was listed in critical condition at a Tulsa hospital after a crash at 7:37 p.m. Saturday at mile marker 304, one and a half miles west of Sallisaw. The Oklahoma Highway Patrol (OHP) reported Allen Daniels, 20, was flown to St. Francis Hospital in Tulsa by Life Flight and admitted in critical condition with head and internal trunk injuries. The OHP reported Daniels was driving a 2002 Honda Civic east when the vehicle hydroplaned and ran off the road to the right. The vehicle then struck a tree and came to a stop. The OHP was assisted by the McKey Fire Department, the Sallisaw Fire Department and Pafford EMS. Mix Morning DJ to Be "Arrested"